“There just isn’t enough time in the day!”…like me, I’m sure you’ve found yourself saying this at some point in your life. Whether in ministry, in business, at home or elsewhere, we are a busy people. Schedules to keep, places to go and people to see….and all in the allotted 24 hour period that we’re all afforded. The busyness of life can lead to frustration when we can’t seem to accomplish all we’d like to and even guilt when we come up short in checking off a to-do list. If you are anything like us, this is a daily struggle. The fact of the matter is this – Time is precious. 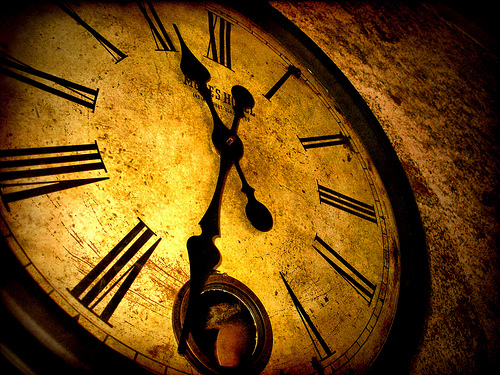 Scripture makes clear that time is fleeting. Even comparing our lives on this earth as a mist, or vapor…here one moment and gone the next. It’s true, we can’t add an hour to our day but we can make sure we make the most of the hours that we have been graciously given. 1. Have A Plan – I remember well my first experience in joining a gym. I had lofty goals to eventually be mistaken for Rocky Balboa and had much work to to if I was ever going to get there. I still recall how fired up I was about joining this gym as I made my way into the doors on the first day. Yet when I compared my eagerness to get started as I entered the gym with my frustrations as I walked out the doors, I found a stark contrast. Without going into great detail, I spent an hour in the gym that day basically doing nothing. I just went from machine to machine, doing nothing. Par for the course, I spent more time chatting than lifting…barely breaking a sweat! What Happened? Easy….I didnt have a plan. My gym experience prior to this one was much different. Coaches had listed on a whiteboard the workout of the day. Plain and simple, “Here is a list of what we want you to accomplish in the gym today. Here is the time alloted to you to get it done. Get to work!”. That was all I needed. Discipline.Though my goals were high, as was my motivation and intentiion…..without a plan, I wondered aimlessly, without much result. I’ve found the same to be true with my daily activity. I need a plan. Something in concrete. Something written down if I am to accomplish what I have set out to. I’ve become a “list person”, and it has greatly benefitted me. I encourage you to do the same. 2. Find Your Sweetspot & Use It Wisely – there are few sounds sweeter for me than the crack of a bat as it encounters a fastball and drives it into the rightfield corner (OK, I’ll admit i have a problem…baseball is my thing!). For those unfamiliar with the “Grand Ol’ Game” AKA “The Greatest Sport Known To man”, the sound I’m describing happens when the bat and ball collide at a section of the bat called “The Sweet Spot”. It’s a beautiful thing, it really is. If you were to hit the ball a half-inch above or below the “Sweet Spot” you’ll not get the same sound or result and it’ll probably jar your hands a bit. Oh, how I love the “Sweet Spot”. In our personal and professional lives, we also have sweet spots. Places where we are most productive. Our sweet spots can lie in our God-given talents and passions or even in our most productive time periods throughout the day. I’ll give an example of both and show you how I make the most of my sweet spots as it relates to time management. As far as my professional life, my talent and giftedness fall into the area of preaching/teaching and counseling. These things are my “Sweet Spot”. It’s where I thrive. Because of this fact, this is where I make sure to spend my greatest amount of time and energy. Of course, I have other responsibilities and they are important to me but I try not to major in the minors. This is my calling therefore this is my focus. I think we often put to many irons in the fire, giving much time away to things/areas that we’ve not been gifted for resulting in poor time management. Find your sweet spot. Focus on it. When it comes to the sweet spot of time – for all of us, there are periods of time during the day where we aren’t functioning at full throttle and other periods where we are alert, sharp and full speed ahead. We’d be wise to identify those time and plan accordingly. For instance, I’m far from being a morning person. I just don’t think clearly pre-10:00 a.m.! I’ve identified early mornings as a weak area for myself so I don’t do a lot of sermon prep (again, my sweet spot) during this time. I use this period to do some things that don’t require my undivided attention such as answer a few emails, administrative work or even return a few calls. Another example is when I spend time in prayer. Throughout the day, I am continually distracted by essential and non-essential things. I need to be totally focused during my time with the Lord so I block off a time in the evening when the family is asleep and the phone is quiet for prayer. Some aren’t as productive post-lunch (when a nap is the biggest priority!) and some may be sharpest in the morning and need to plan accordingly. At the end of the day, I’ve found that identifying the sweet spot of time and using it wisely is a great help. 3. Allow For interruptions– because they are going to take place! 4. Be Punctual – I’m a little old school here and I’m definitely my father’s son on this subject but I believe that a good, wise steward of time is one that is on time. If you ask Annette or my children, they’ll most likely tell you that I’m a teeny bit crazy about this (as I feel late if I’m any less that 20 minutes early for anything) but I think it’s clear that being punctual is essential for anyone who desires to effectively lead others. It shows purpose, determination…heck, it shows priority. Good managers of time, good leaders are punctual. My average week BEFORE I began to block off my time was nothing short of a mad, hectic, frazzled and rushed mess. It was what I call the shotgun approach. As you know, shotgun shells contain hundreds of small pellets that scatter into a wide swath when dispatched. that was my “plan”. Look at my goals for each that and shoot, hoping a pellet my hit each thing I sought to accomplish. Today, through blocking off my time – I carry a rifle! A focused, effective and deadly accurate bullet aimed at blocks of activity. Example – Take personal counseling (where I gladly spend a lot of time) while before blocking off my time, I had appointments at random times each day, often throwing everything out of whack and absolutely throwing my focus and effectiveness off of course, today is much different. Instead of a little counseling here and there each day, I blocked off Wednesdays and Fridays for ALL of my counseling appointments. This accomplishes a couple of things. I. Personal benefit…It allows me to focus on the task at hand. Before blocking this off, I’d counsel with one ear, the other listening for sermon ideas. my mind was divided 2. the Benefit Of Those I Counsel – when people come for counsel, they do NOT need a Pastor with 25 things going on in his mind. they need, and deserve, my undivided attention. they need me to be sharp. Blocking Wed. and Fridays off has for this purpose has blessed myself and even more importantly, has blessed those who entrusted to my care. So- at the end of the day, we can manage our time or it can manage us. Steward it wisely.